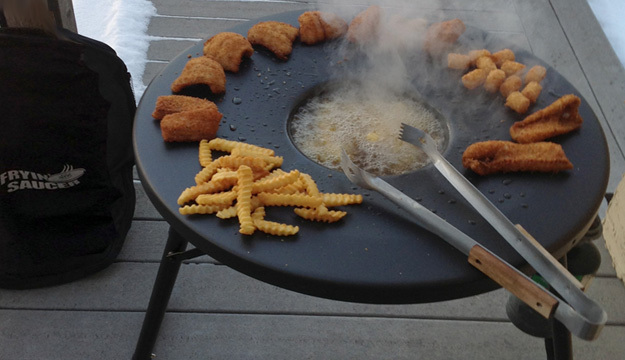 The Fryin’ Saucer is the fastest heating, most portable fryer ever developed. 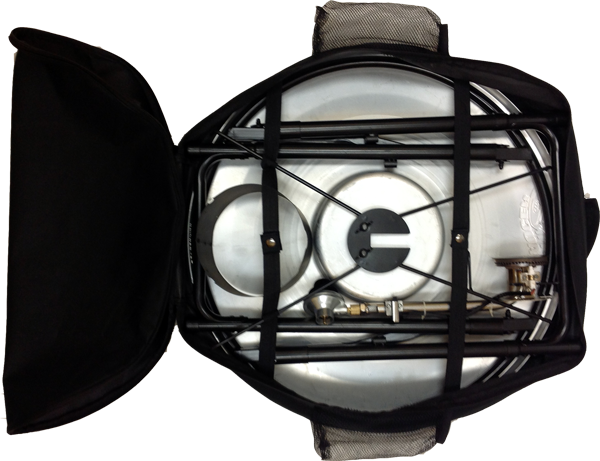 Weighing in at a mere 18 pounds, it’s compact, lightweight and a 1 pound canister of gas lasts 3 hours. 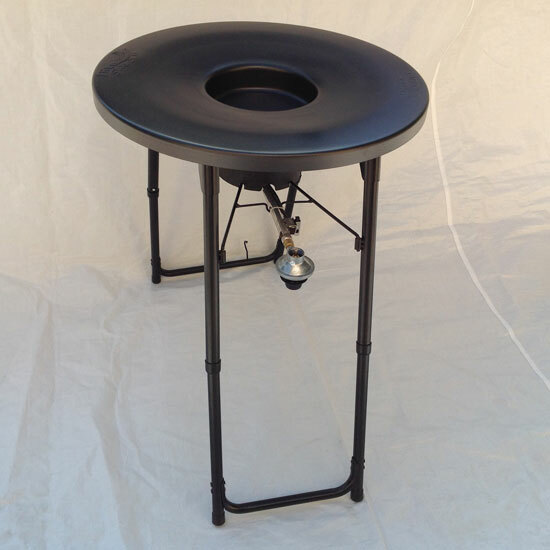 Simply unpack it from the included carrying bag, open the legs, attach a 1 pound propane tank, and snap the patented saucer tray into place. Add 32 ounces of oil and use the electronic ignition to light the 13,000 BTU Super-Flame adjustable stainless steel burner and you’ll be cooking in no time! Why wait to cook that walleye you just caught? Simply pop up the Fryin’ Saucer, pour in some oil and drop in your fish! The saucer design acts as a draining tray and keeps your food warm while you cook up another batch. call your buddies over – it’s time to eat!